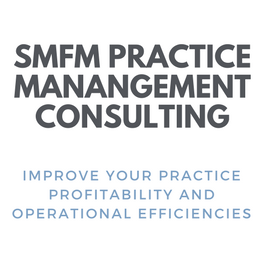 SMFM's new Practice Management Consulting services help MFM physicians and their associated organizations strategically promote excellence in operational efficiency, profitability, and patient care. - Strength and weakness overview assessment of your organization’s financial and operational health, as compared to similar practice settings nationally. - In-depth organizational examination and analysis of operational, financial, and clinical systems, and action plan creation to move your organization to its potential success. Dr. Dan O'Keeffe is a maternal-fetal medicine specialist with 30 years of experience in MFM practice. He is the former executive vice-president of SMFM and the founder of the Association of Maternal-Fetal Management, now called the SMFM Practice Management Division. Mr. Frank Ciafone is a leading authority on health care management. He provides financial and operational expertise to physicians, assisting subspecialists in all practice settings on profitability issues. He is a member of SMFM's Practice Management Advisory Board. Mr. Brad Hart is a leading industry expert in medical billing and coding. A regular presenter at SMFM's bi-annual Coding Course, Mr. Hart has more than 25 years of experience as a coder, billing department director, practice administrator, coding educator, and author. Download the SMFM Practice Management Consulting brochure. For more information, contact Tim Heinle, Member Services Manager at theinle@smfm.org or +1 (202) 517-6353.